This late Gothic palace was owned by the Zenobio family of Verona, who commissioned Antonio Gaspari to redesign it at the end of the 17th century, Palazzo Zenobio was purchased in 1836 by the Armenian congregation on the island of San Lazzaro and converted into the Collegio Moorat-Raphael. For 160 years it educated young students in Armenian, and finally closed in 1997. 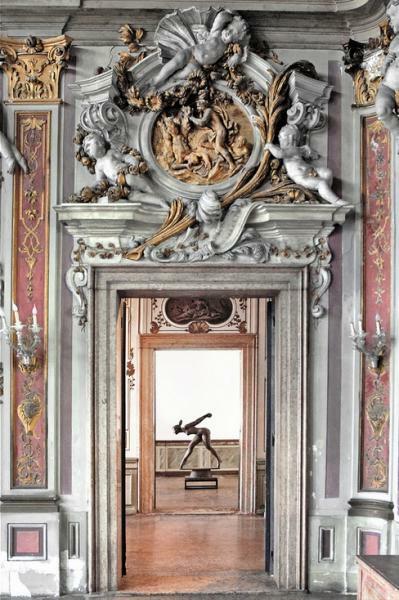 The palace has a rare interior garden, but is best known for Gaspari's lavish two-story Baroque ballroom (used in Madonna's 1984 Like a Virgin video) with its stuccoes, mirrors, and mythological frescoes by French artist Louis Dorigny; nearby rooms have works by Luca Carlevarijs and Tiepolo. Since then it has been a cultural and exhibition centre, hosting the occasional concert and exclusive masked ball during Carnival, while the old dormitory rooms were used as a basic hostel. Entrance is via the Atelier 'Il Palazzo'.